Highest and Best due by 4 PM Sunday, February 10, 2019.Wonderful Ranch home in the country, looking for a new owner. 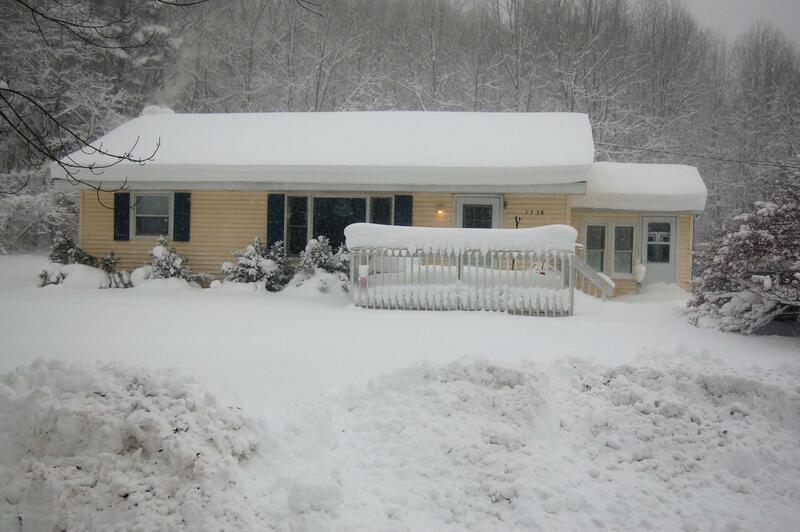 This home features a 3 season room, full basement, garage, and a deck. All of this on 1 acre of land!! Hard to find a place like this for less than $100, 000! Enjoy this ranch style home sitting on an acre lot in the country. It has much to offer from the well designed kitchen with pantry & a good sized dining area. New garage roof in May 2012. Nice furnace, Central air, vinyl siding on house & garage, overhead & service doors on garage, 5 inch well & bladder tank, water heater, some new windows & concrete drive.Basement is partially finished w/ painted floors & walls & finished ceiling!